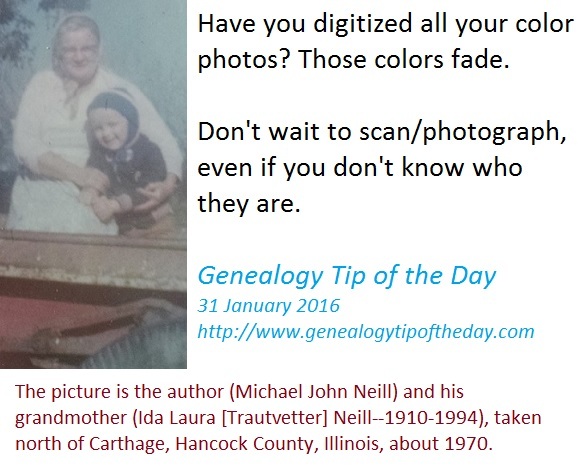 Do You Have Color Pictures to Digitize? Digitizing color photographs should be high on your preservation list, even if you don’t know who all the people are in the picture. Color inks fade more quickly than inks used for black and white photographs. Seize the moment and preserve those color pictures. 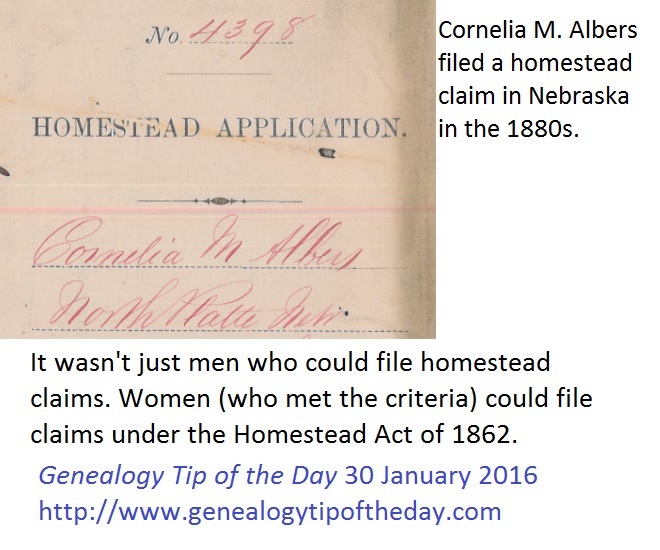 Women could file claims under the United States Homestead Act of 1862. They simply had to meet the age and citizenship requirements like the men. In some areas of the United States, homestead claim eligibility was one of the reasons single women would naturalize. Years ago, early in my research, I located an early 20th century entry for relative in the seller’s index to local land records. It was in a part of the county where he “shouldn’t have owned property.” It turned out the deed was one where he was selling his small interest in a small piece of property that his grandmother had owned at her death. And the deed referenced that her former husband had purchased the property in the 1850s. All from a deed that I didn’t even think was relevant. 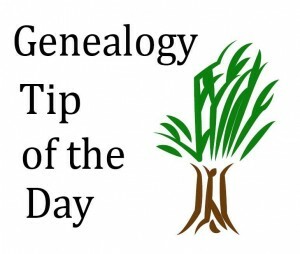 My goals here at Genealogy Tip of the Day are pretty simple. Iwant to make people aware research pitfalls, research procedures, sources, and terminology. And I try and do this in short tips. That means that many tips are not complete, lengthy discussions of a topic. There may be exceptions that would take too long to discuss fully. 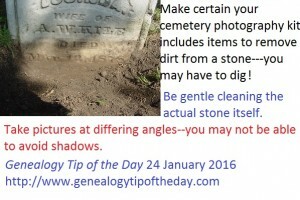 Generally those tips are at most four sentences long. 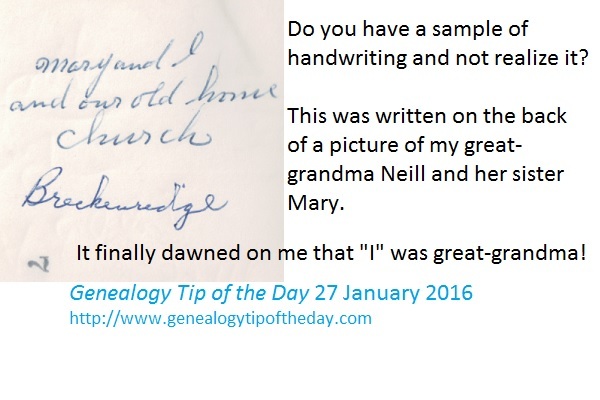 Suggestions for additional tips are always welcome. 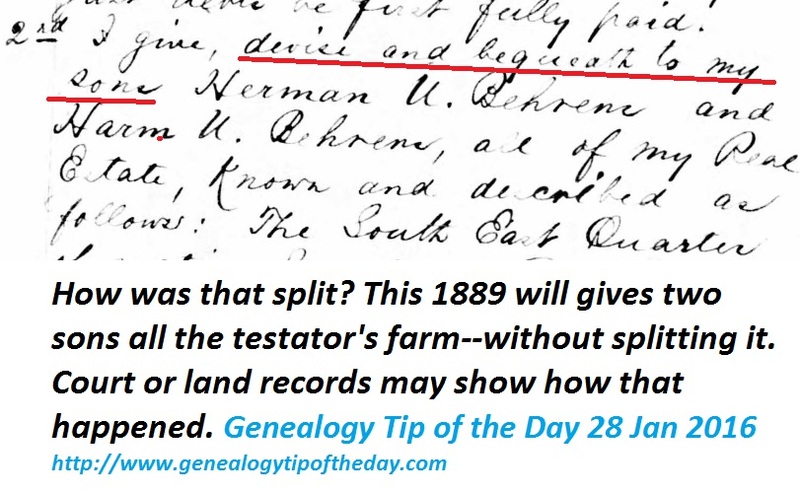 The 1889 will of a relative gave his two sons all his real estate without indicating which son was to get which portion. 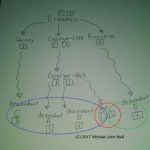 Land records or court records may answer that question and uncover even more information. Sometimes it takes a while for things to dawn on us. I had this photograph for years before I realized that the “Mary and I and our old home church” was written by my great-grandmother. After all she and Mary are in the picture so “I” must be her. This was one time when I was glad that “I” was used on the back of a picture instead of the name. Fortunately someone was able to identify the people in the picture for me. Legal records that state the ages of children may indicate their age as of a certain date or state what the child’s age will be on their next birthday. 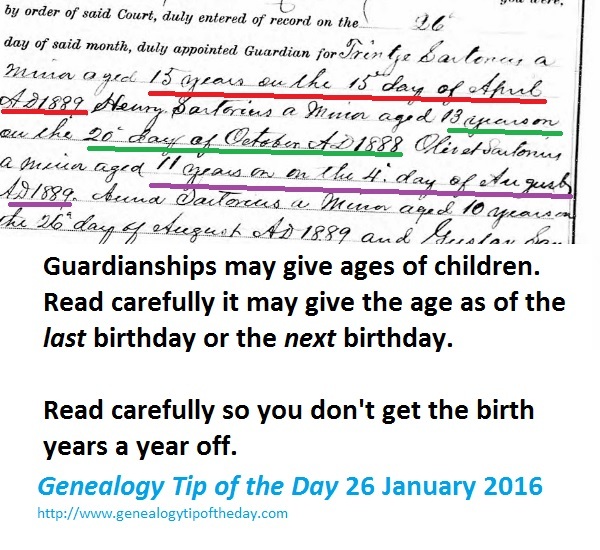 Read the document carefully to make certain you interpret the age and when it was effective correctly. 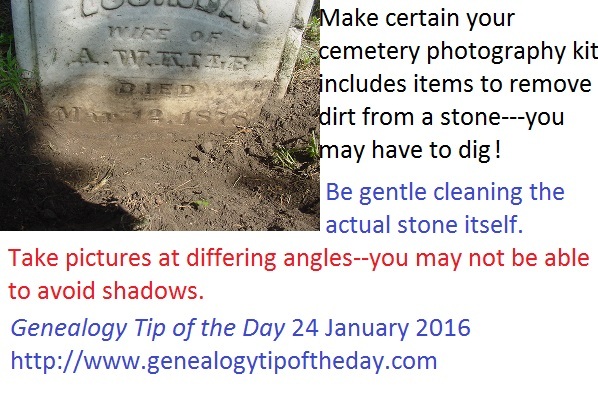 Otherwise you may inadvertently create a year discrepancy where none actually existed. 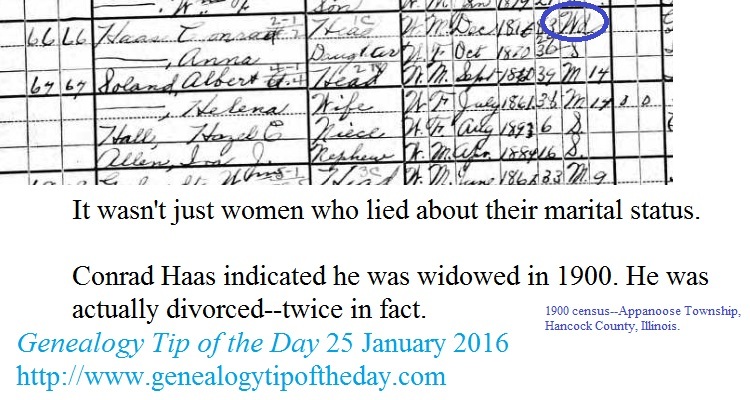 An earlier tip referenced women lying about their marital status in census records. Men also gave incorrect marital status accounts to avoid mentioning their divorce. In 1900, Conrad Haase in Hancock County, Illinois’ Appanoose Township, indicated he was widowed. He wasn’t. He was divorced. Always take those marital status entries with a grain of salt. This list is not comprehensive, but is suggestive.